Every week, Stephen Smith and Russell Potter will review the latest episode of the AMC show The Terror for Canadian Geographic. Their take on episode 3 — “The Ladder” — appears below. Welcome aboard, and, yes, I’m afraid it has come to this. I guess maybe I was thinking there might be some respite for the ships’ company — for us, too, along for the voyage to the Great White Nothing — after the death of Lieutenant Graham Gore in episode two. Nope: no time here for cheer or comfort, let alone self-care. We are well and truly in the nightmarish thick of things now, entirely beset — in the endless ice of Victoria Strait, by the cold, the unknown, the fear of this vicious beast that may or may not be a bear with a ferocious grudge. Not that trying to classify the enemy, biologically or otherwise, would be anyone’s chief concern while whatever-it-may-be is very actually tearing the expedition to bloody bits and — in Sir John Franklin’s pointed case — committing those to the icy deeps below. The history framing the fiction tells us that Sir John won’t last long enough for that. It’s June of 1847 already, and so we know that Sir John’s time is almost up. His death is quick and gruesome. No need for me to pen him a eulogy here — he does a fine job on his own, even if his words were intended for Gore. I can’t have been the only one to have felt that it would be Sir John who’d be getting the schooling here, as he duly did. I had a wince of worry that Harry Goodsir was done for, too, and I was relieved to see him survive. At this point, I’ll take whatever mercies this Arctic is willing to grant. A question for you, Russell: as someone who’s worked so carefully in piecing together what is so very complex an historical puzzle, does the blurring of history with fantastical fiction unsettle you at all? Is there a cost to the history when the fiction is so compelling? To answer your question, Stephen, I think that over the centuries, fiction has come to fill many of the same blank spaces that explorers sought in their voyages. Off the edge of maps, the edge of written records, anything really is possible — at present, we don’t know whether Franklin was dragged to his death by some supernatural monster or simply fell victim to a bad cold. In that void, everything remains possible. There have been so many Franklin fictions, in any case — more than two dozen in the past generation alone — that history’s bank account has already for some time been overdrawn. What fascinates me here is the way in which the various bits of the historical puzzle have come back to haunt the story; it’s almost as though the process were working in reverse: what set of circumstances, physical or psychological or both, could produce such fascinating fragments? That said, not everything was to my taste. I found myself loving the “small” moments — Goodsir with the Daguerreotype camera, the Marines with their deadpan humor, and Cornelius Hickey’s delicious deviance — more than the “large” ones. I can’t imagine the Franklin I know speaking to Crozier the way that Ciarán Hinds’s character does, but the practical resourcefulness of Jared Harris’s long-suffering second rings true all the same. And I must say that one of the least satisfying moments for me was the flashback scene with Franklin and Sir John Ross you mention. Ross never would have spoken to his friend in such a manner; on the contrary, he promised to seek after him even if no other man would, and he did so. I think the episode would have been just as strong without this spurious episode, or (at best) with some other, nameless ancient mariner in place of Ross. 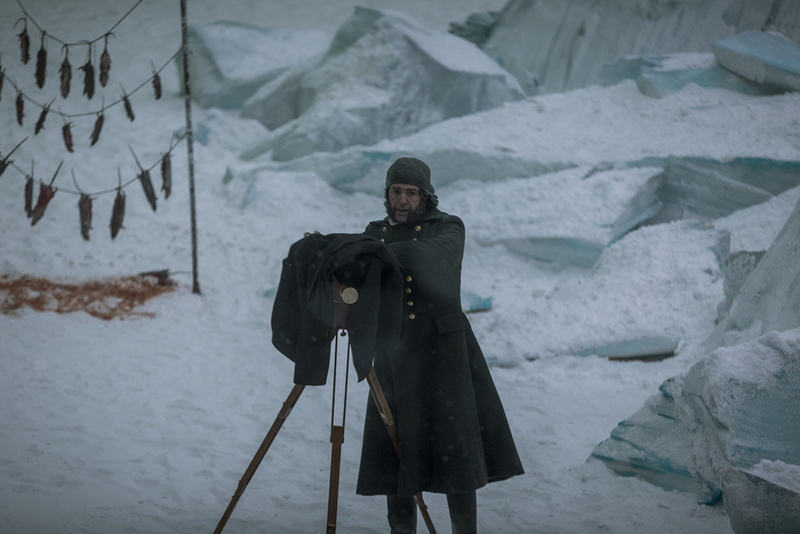 Russell and Stephen’s recap of Episode 4 of The Terror will be published April 9.